A healthcare facility makes significant contributions to their communities by providing a wide variety of services. They are also major employers, with healthcare comprising of at least 16% of the national and regional economy in most countries. Healthcare facilities operate all day everyday, making their environmental footprint large in many communities. Generating approximately 7,000 tons per day of waste, including infectious waste, hazardous waste, and solid waste. Using mercury in medical devices, equipment, light bulbs, etc. Using materials that may have toxic effects: PVC, DEHP, cleaning materials, heavy metals in pesticides. Consuming large amounts of energy in buildings and car fleets, and generating significant greenhouse gas emissions. Consuming large amount of fossil fuels for fleets for trucks that transport consumables and waste to and from the facility. Consuming large amounts of fresh water for domestic use and heating/cooling as well as landscaping. There is also evidence that the health sector’s energy use, prolific consumption of fresh water, large volume of waste produced, and resulting toxic emissions from its operations and reliance upon non-biodegradable chemicals undermine the health of the very communities the sector is meant to serve. Reduced transportation by in-sourcing of service like waste treatment. Reducing a healthcare facility’s environmental impact is always not an easy project. However, simultaneous and immediate impact on a facility’s solid waste, landfill, fresh water, eco-toxity, and carbon footprints; all together, can be dramatically reduced today using innovative green technologies like SteriMed. At SteriMed Medical Waste Solutions, we’ve always believed that the business of healthcare can and should have a positive impact not only the patients that it treats, but also on the communities they serve; and in doing so we were driven to develop the most cost effective, environmental aware technology for the onsite treatment of medical waste. Traditional hazardous waste recycling haulers, well, haul—by the truckload. They pick up at your facility and transport the material to the treatment plant where they use either incineration or high heat processes like steam to treat your waste. Often times these treatment plants are located hundreds of miles away from your clinic. They then move the treated waste from the treatment plant to a community landfill site. This complete process from waste generation at your facility, to the remotely located treatment plant, to your waste’s eventual resting place in a community landfill consumes lots of fossil fuels. All of which puts tons of greenhouse gasses like CO2 into the atmosphere and throwing the earth’s natural carbon cycle way out of balance. With SteriMed, your facility’s waste is treated on-site and does not consume a drop of fossil fuel for offsite treatment transportation. As a result, greenhouse gasses are reduced to virtually zero. The SteriMed process dramatically reduces your facility’s carbon, water, and landfill footprints. Our on-site waste systems use less than 10 cents in electricity and cold-water resources per cycle. With our unique biodegradable disinfectant, SteriCid,tm medical waste is converted into ordinary trash , using an easy-to-use, environmentally friendly process Even more remarkable, the resulting solid waste take up 90 percent less space in the community landfill. At the end of the SteriMed treatment process is waste that can be placed into your facility’s regular trash. And with the average cost of treating waste on-site using SteriMed being less than 50% of most medical waste hauling contracts, you can begin today to realize that compared to SteriMed, everything else is a waste. Room temperature process consumes only .11 kWh of conventional electricity per cycle. Biodegradable disinfectant at low dilution rate of 0.5% is safe for discharge to sewers. Disinfection is formulated without the use of heavy metals. Dilution rate of disinfection is computer controlled to ensure safe use of disinfectant at your facility. Waste treated by SteriMed using SterCid complies with the EPA toxicity under TCLP. 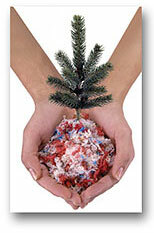 Landfill disposal footprint is reduced by up to 90% by shredding of waste. Reduced solid waste footprint save on transportation to landfill. @ 2011-16 STERIMED MEDICAL WASTE SOLUTIONS. ALL RIGHTS RESERVED.